Then click Create New Group in the right. Type in the Display Name and click Create Group. Hooray! 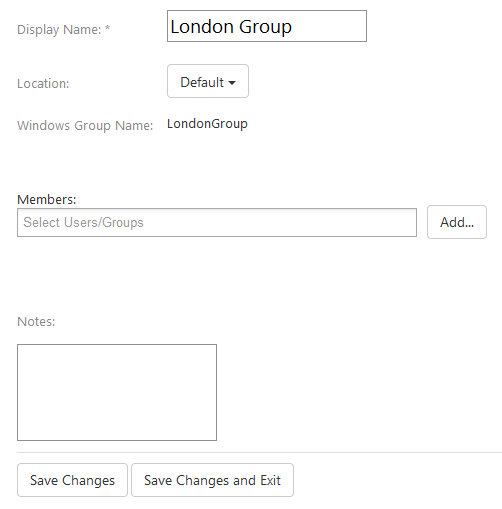 Now you can set a location for a group, add members, and also make a note for this new group.